School is done, and your brain is on vacation, but you probably still have workbooks, papers and projects floating around. What to do? Because documentation is required by the state, Pennsylvania homeschoolers are masters at the homeschool portfolio. But homeschool portfolios are a wonderful tool and summary for those who are living in any state. They are a great way to summarize the school year and show what your student has accomplished. 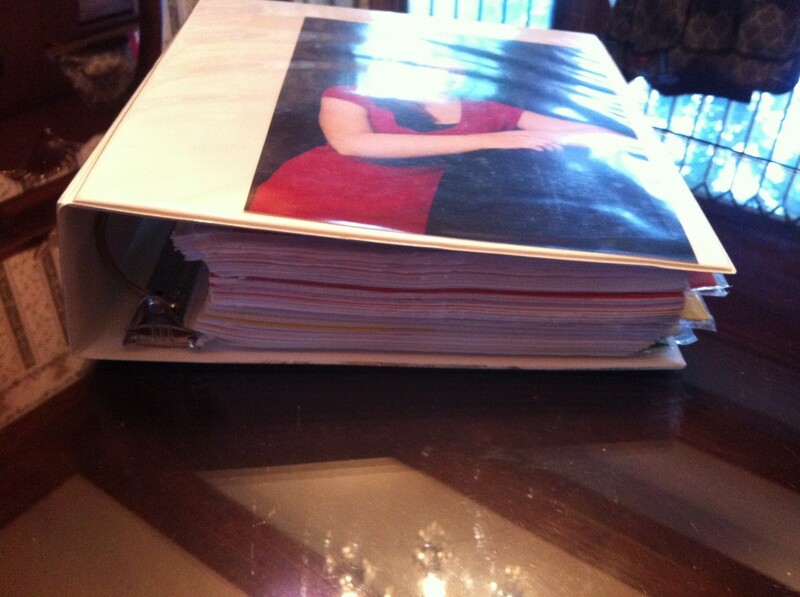 This is how I put together a yearly homeschool portfolio. If you have to submit any kind of official documentation to the state, this should go toward the front where it’s easy to find. I usually put any standardized test scores in the front front, so they are easy to see and easy to compare from year to year. Choose examples of work for each subject–not everything they’ve done– just a spattering that gives an idea of the level of work they’ve accomplished that year. Try to be realistic. If your student got a B in math, don’t choose all the tests where he scored 100%! When you look back, you want to understand why you assigned the grade you assigned, and you want your student to be able to realistically see progress. If you have chosen only the best work for the portfolio, this can be frustrating. This is the fun part. Use page protectors and add any paraphernalia you’ve collected over the year: certificates of completion from karate, programs from concerts your student has participated in or attended, and artwork or projects they’ve done. Some years I’ve even gotten ambitious and scrapbooked cool events and field trips. I know some parents who have their kids trace their hands and sign their names on the first day of school and again on the last and put those in their portfolios. You are limited only by your creativity and your storage method. I always keep my portfolios in a large two to three inch binder with a clear pocket on the front for my student’s picture. Once I started schooling several students, I color coded the binders. One child always has the green notebook, another always has blue, and the last has a girly pink or purple. For each subject, create a summary of the work accomplished and the curriculum used. I use a different color for each subject, and borrow verbiage from the curriculum that we used. 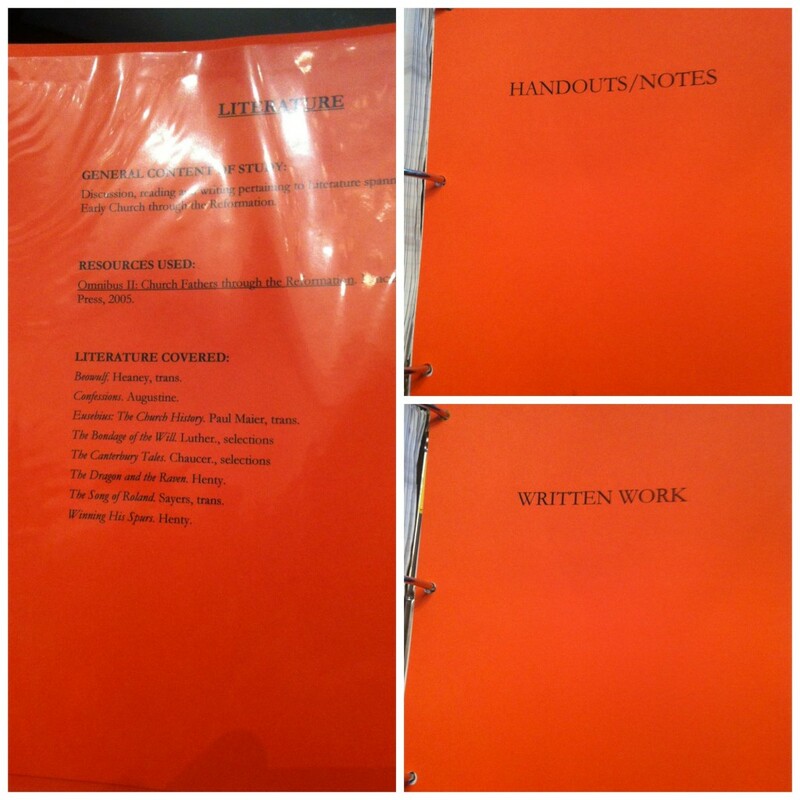 When I put the summary in a page protector, it acts as a divider for the portfolio. 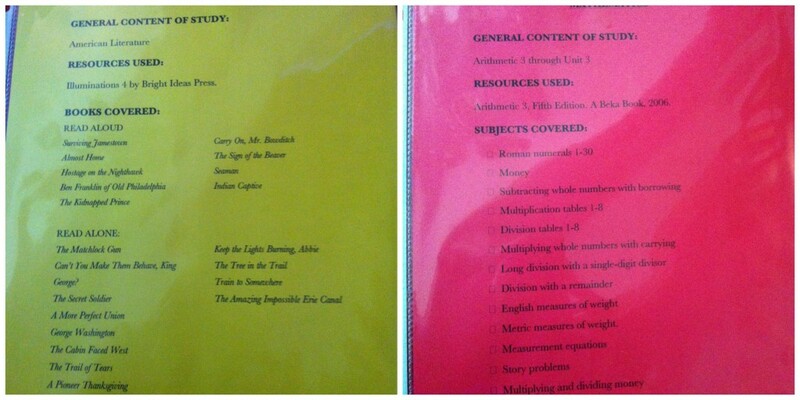 On each subject divider, I include information about the subject content, the texts I used, and whatever topics were covered. I usually pull this information from the table of contents of the textbooks. Some people keep all of their portfolios in cardboard file boxes. The advantage is it’s huge. You can keep whole art projects in it. It’s easy to divide subjects with full-size file folders. The disadvantage to a file box is that it’s huge. If you homeschool six children for thirteen years, that’s 78 file boxes. However, they are easy to stack in the attic. Other homeschool moms prefer plastic filing containers. They are sturdy, waterproof, and not quite as big as file boxes. You can still store a few whole art projects and use full-sized file folders, but you can’t keep quite as much material. Although they’re waterproof, they’re more expensive, and they’re not always stackable. No matter what form you choose for your portfolios, they are a great way to keep a summary of your child’s year to satisfy state requirements and to monitor their growth and learning as they mature.